Have a look at our services (including Spill Management and Dangerous Goods Equipment) and systems (Chemwatch and VAULT) and let us know how we can assist you. At SOS – Switched Onto Safety our OSH / WHS, Quality and Environment (OSHQE) Auditors/consultants are all Global Exemplar certified Auditors so you know that you are getting a professional service. Supported by a code of conduct we can provide a wide range of Audit and inspection services throughout Australia and abroad. 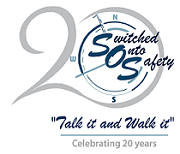 SOS – Switched Onto Safety understands that each organisation has unique and specific educational and training requirements. This is why over the years we have evolved our training and assessing skills to be flexible in meeting our clients specifications. Remember; We can customise all of your training and assessing requirements.